December 30. Something that made me smile this year. Today’s topic had me searching back thru all the photos I’ve taken this past year, reminding me what I’ve been up to, looking for the thing that made me smile. There were so many things, really, that put a smile on my face this past year. But one of the best times I had was my summer vacation in July, and another satisfying thing was how often I looked at the sky and saw how beautiful it is all the time. Here’s a picture of the sky I took while I was on my July vacation in Zion National Park. Categories: Photo 365: Photo a Day Project, Sky | Tags: photo a day, Photography, project 365, sky | Permalink. One of my favorite things to take pictures of: the sky. But the sky wasn’t very interesting today. Mostly a solid gray sheet of overcast, without even any dark shadows or cool shapes in the clouds. 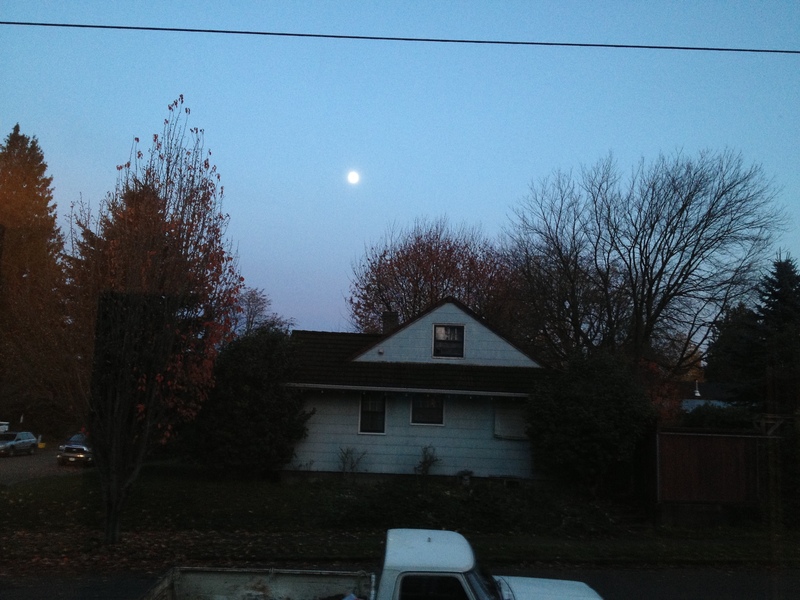 Then, the sky cleared up enough to enjoy the almost full moon. 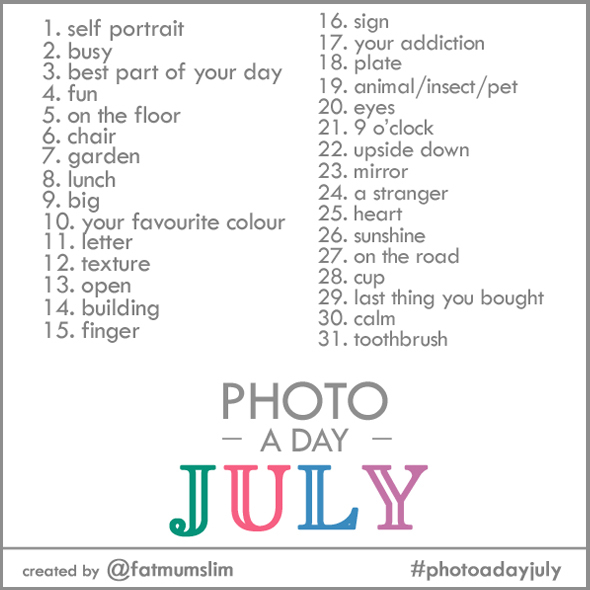 Day 159 photo- July 10. Your favorite color. July 10. Your favorite color. My favorite color is blue. Not necessarily sky blue. I actually prefer deeper, darker blues. 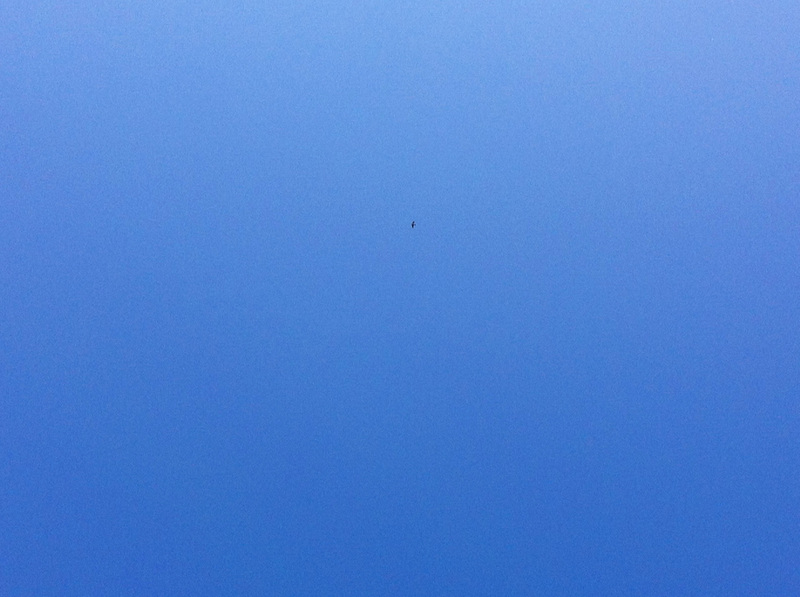 But who doesn’t love the sky when it is brilliantly blue and completely cloud-free clear? Especially when the sky most often around here is cloudy, overcast, with rain? And what is that little black dot? A bird. I love anything with a bird in it. 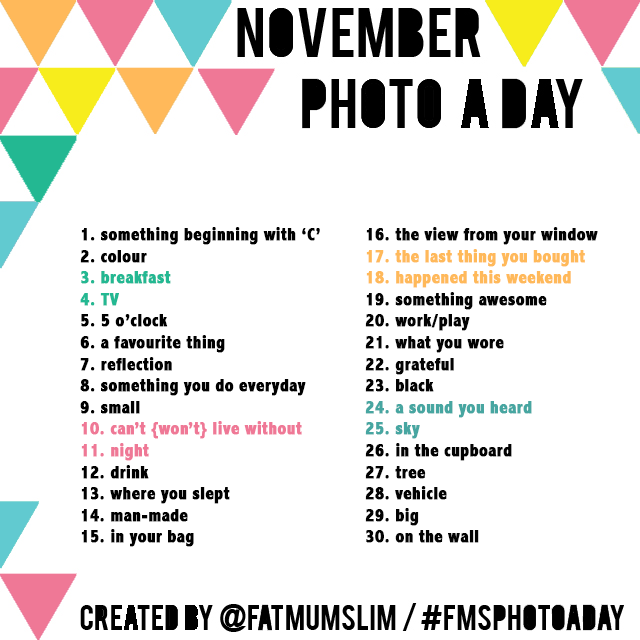 Categories: Photo 365: Photo a Day Project, Sky | Tags: fat mum slim, photo a day, Photography, project 365, sky | Permalink. The sky on June 28.
this was in the morning capturing the sunrise coming in over the city. I was standing at the cafe in line to buy a coffee and the view looked gorgeous. It’s taken thru a glass window so colors seem muted. 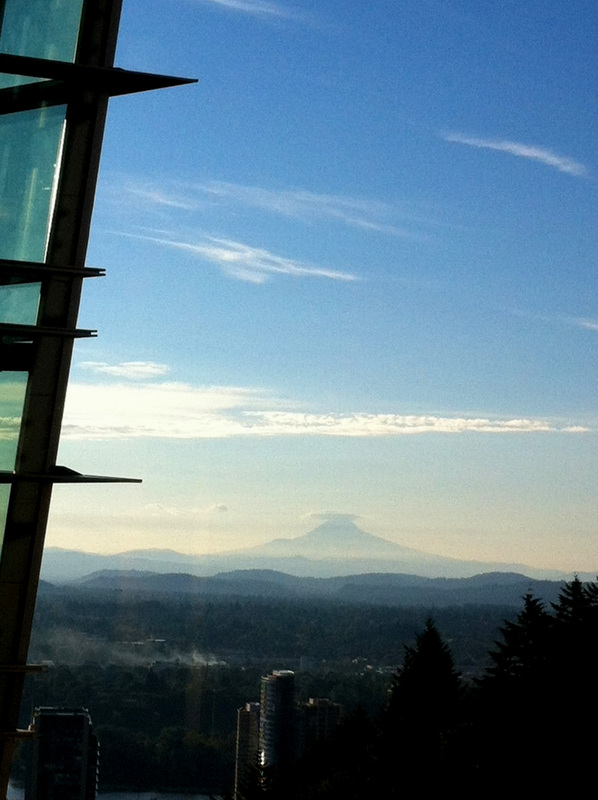 Mount Hood always looms large over the city. Categories: Photo 365: Photo a Day Project, Sky | Tags: photo a day, Photography, Portland Oregon, project 365, sky | Permalink. 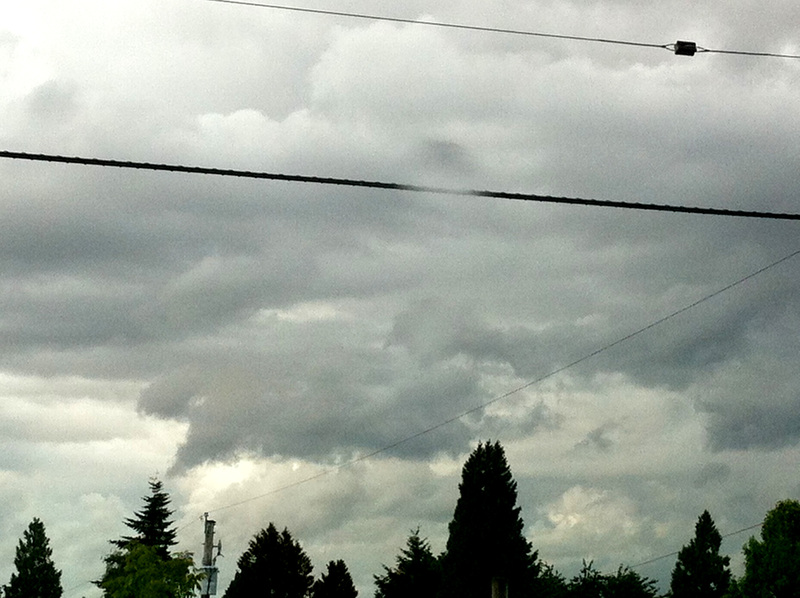 The sky on June 27. After many days of clouds and rain, the sun came out! Mt Saint Helens is always a beautiful sight. 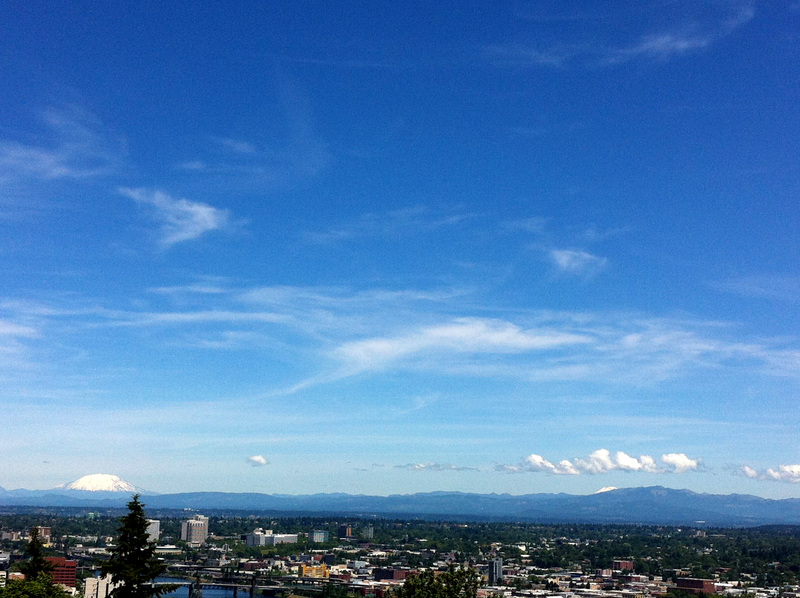 Categories: Photo 365: Photo a Day Project, Sky | Tags: Mount St. Helens, photo a day, Photography, Portland Oregon, project 365, sky | Permalink. 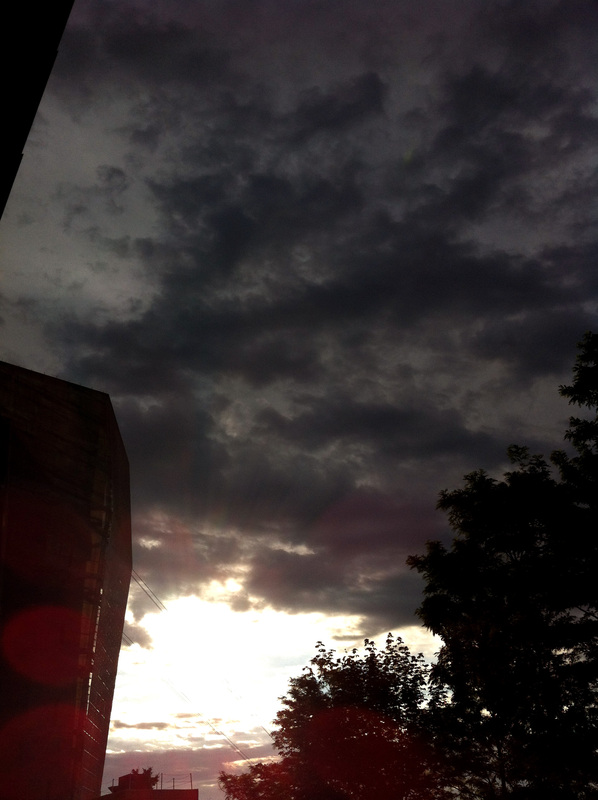 The sky on June 26. I took this picture from inside through my bedroom window. it was raining and I was being a wimp and didn’t feel like going outside. I thought this cloud looked like a plume of smoke coming out of the top of the tree. The sky on June 25. Categories: Photo 365: Photo a Day Project, Sky | Tags: photo a day, Photography, project 365, sky, sunrise | Permalink.